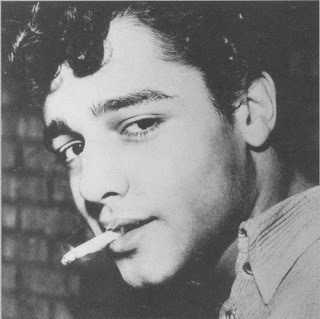 Salvatore "Sal" Mineo, Jr. (January 10, 1939 – February 12, 1976), was an American film and theatre actor, best known for his performance as John "Plato" Crawford opposite James Dean in the film Rebel Without a Cause. He was nominated for the Academy Award for Best Supporting Actor on two occasions; once for his role in Rebel Without a Cause, and also for his role as Dov Landau in Exodus. 49 BC – Julius Caesar crosses the Rubicon, signaling the start of civil war. 69 – Lucius Calpurnius Piso Licinianus is appointed by Galba to deputy Roman Emperor. 236 – Pope Fabian succeeds Anterus as the twentieth pope of Rome. 1072 – Robert Guiscard conquers Palermo. 1776 – Thomas Paine publishes Common Sense. 1806 – Dutch settlers in Cape Town surrender to the British. 1810 – Napoleon Bonaparte divorces his first wife Joséphine. 1916 – Erzurum Offensive during World War I, Russian victory over Ottoman Empire. 1922 – Arthur Griffith is elected President of the Dáil Éireann. 1923 – Lithuania seizes and annexes Memel. 1929 – The Adventures of Tintin, one of the most popular European comic books ever, is first published in Belgium. 1954 – BOAC Flight 781 A de Havilland DH.106 Comet 1 explodes into the Tyrrhenian Sea killing 35 people. 1962 – Apollo program: NASA announces plans to build the C-5 rocket launch vehicle. It became better known as the Saturn V Moon rocket, which launched every Apollo Moon mission. 1984 – The United States and Vatican City establish full diplomatic relations after 117 years. 1990 – Time Warner is formed from the merger of Time Inc. and Warner Communications. 2005 – A mudslide occurs in La Conchita, California, killing 10 people, injuring many more and closing U.S. Route 101, the main coastal corridor between San Francisco and Los Angeles, for 10 days.